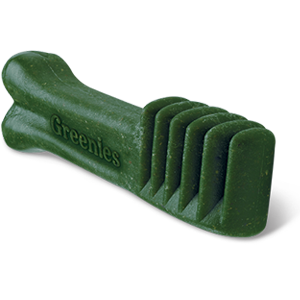 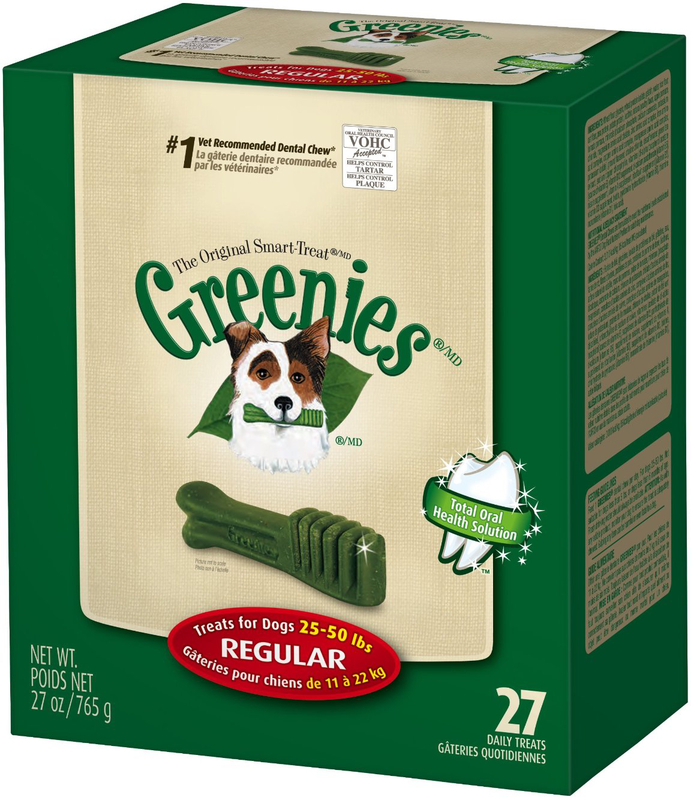 GREENIES Canine Dental Chews are the #1 vet recommended dental chew*. 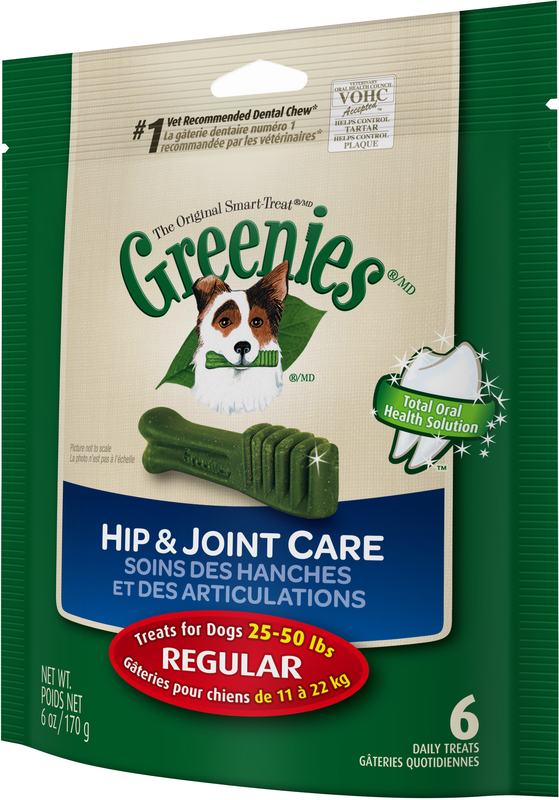 Proven to fight tartar buildup and plaque, freshen breath and maintain healthier teeth and gums, GREENIES dental chews clean your dog’s teeth as they chew on this tasty treat. 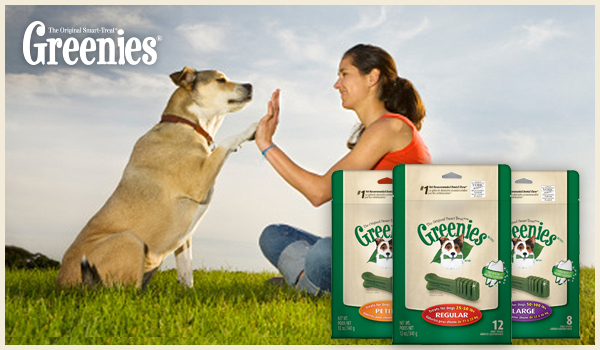 Dogs will love GREENIES for their great taste, and pet parents will love the health benefits for their pets! 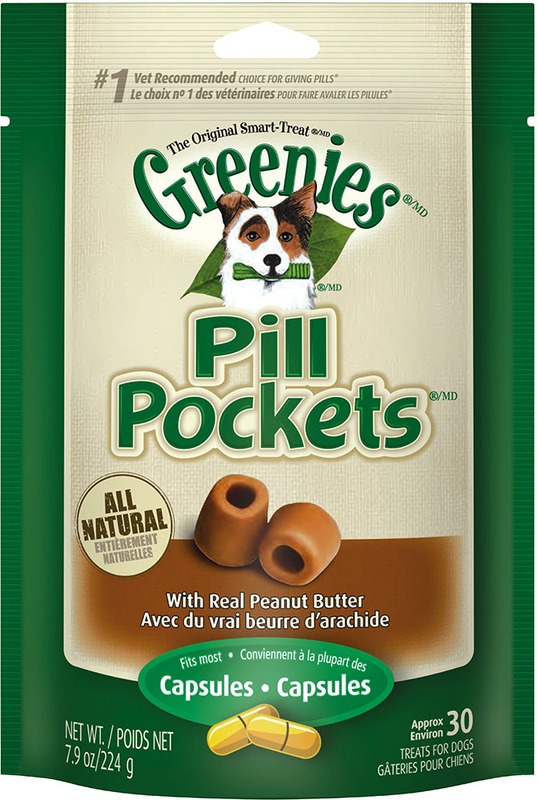 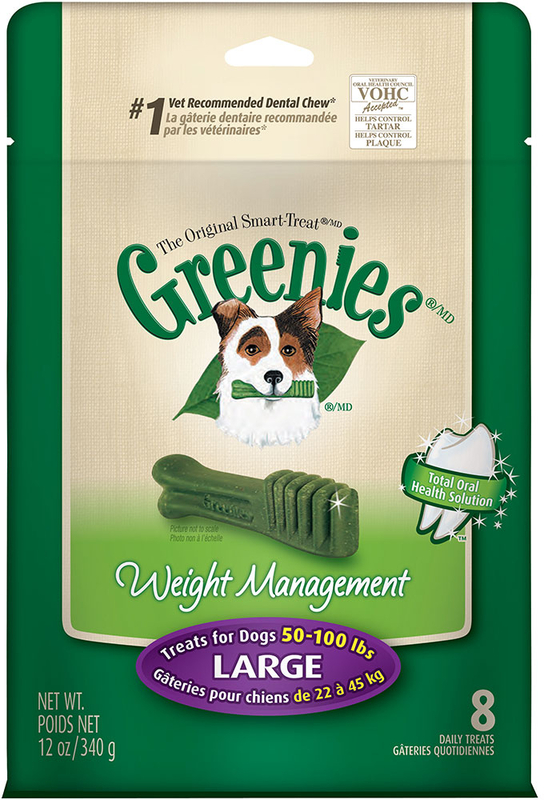 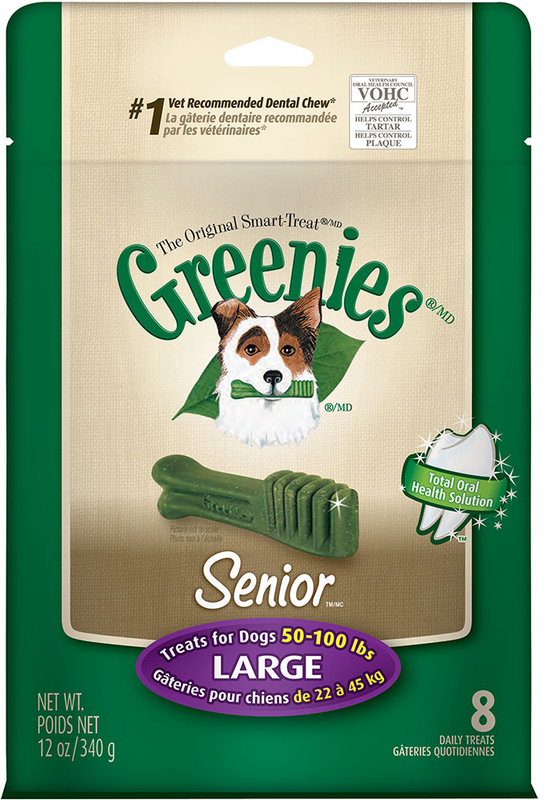 GREENIES Weight Management Treats provide the same great taste and oral care benefits as Original GREENIES Canine Dental Chews, but with fewer calories.